Get ready to put on your dancing shoes when Warwick Valley High School Drama Club presents Mamma Mia! as its spring musical March 15 and March 16 on the high school stage. 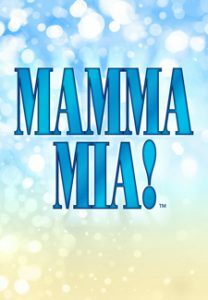 A huge hit on Broadway, Mamma Mia!, featuring the songs of super group ABBA, played to Broadway audiences for 14 years and over 5,700 performances. The production is directed by Nick DiLeo, who is celebrating his 20th anniversary as Drama Club advisor. Joining him are Donna Nestor as producer, Beth Maisonet as choreographer, and Chris Persad and Noreen Hanson as musical directors. The cast for this production is composed of over 60 students with an additional 20 working on stage crew. The sunny and funny musical set on a Greek island paradise tells the hilarious story of a young woman’s search for her birth father. On the eve of her wedding, a daughter’s quest to discover the identity of her father brings three men from her mother’s past back to the island they last visited 20 years ago. The musical features ABBA hits including Dancing Queen, Chiquitita, Super Trouper, and Mamma Mia, among many others. Join us for a mother, a daughter, three possible dads, two zany friends, and a trip down the aisle you will never forget! Saturday, March 16: 1 p.m. and 7:30 p.m. The Mamma Mia Online Box Office is open for sales. Tickets are also available by calling 987-3050, voicemail box #22500. Local senior citizen are invited to a special matinée of the High School Drama Club’s production of “Mamma Mia” 3:30 p.m. Thursday, March 14 at the Warwick Valley High School. Tickets, available at the door, are $3. The Senior Citizen Tea is at 3:30 p.m. in the High School North Cafeteria, and the curtain rises in the High School auditorium at 4:05 p.m.